Cam-locks are a hose couplings used to connect fittings on piping. They are available in different materials and can be used in various mediums.They replace the traditional, unsafe and time-consuming nut, bolt flange and drift pin methods of pipe connection. A lever or joint on the cam lock coupling connects one hose pipe and fits into another in one place. Cam lock couplings feature the female and male connectors. Two joints form parts of a female connector assembly. The male connector has a form that permits it to fasten into the female connector. The couplings join conveniently and quickly through the insertion of the ridged joint into the cam pairing followed by simple closure of the cam sections. Protection pins are used together with the Cam-lock couplings to stop the cam sections from unintentional detachment when in use. Cam fastened connectors can carry powders, granules and liquids, and are identical with every groove and connector coupling finished to a matching standard that ensures same specification and compatibility. Cam lock couplings come in the assortment of material, diversity in dimensions and are used with diverse mediums that contain different piping or hose diameters. Cam lock fasteners are classified as Type A; with male cam fasten ending and female NPT tube or BSP thread of equivalent magnitude. Type B has a male pipe thread and an equal sized female cam connector end. Type C has a male hose extension and a female cam lock on the other end. Type D has a female thread pipe of identical size as the female cam lock ending. Type E has a male hose tail on one end and another male cam connector on the other end. Type F has a male thread pipe of equal size as the male cam fastener on the other end. Type DC is the cam lock coupling with female cam connector end caps. Type DP is cam lock coupling with male cam attached end restrictions. Cam lock couplings can be utilised during inks, dyes and paints manufacture. The manufacture of dyes, paints and inks involves repeated alteration of pipes to discover the most accurate of combinations. Cam locks couplings can withstand outside layers without damage to their component seals. Cam lock couplings may be used in agriculture; they are acid resistant and are ideal as pipe connectors on farming sprays and to reduce the time used for refilling the tanks. Cam lock couplings may be used when drum filling. The cam lock coupling is integrated into the arrangement to allow for immediate filling of the compound barrels. The couplings can be used for delivery, vacuum service and suction purposes. Cam lock couplings can be used when cleaning industries. Numerous manufacturing clean-up goods necessitate pipes; the pipes are joined with cam lock couplings for easy storage, disconnection, and to make easy transportation or elimination in case of a jam. Cam lock couplings can be used to distribute oil. 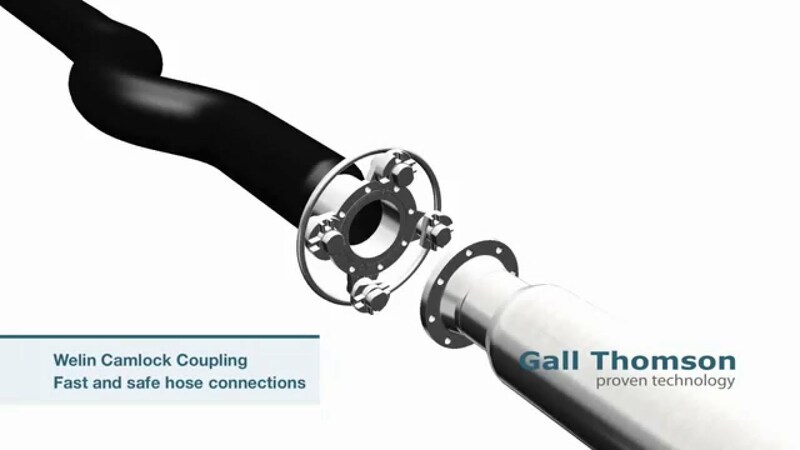 The cam and thread couplings are the standard hose connectors used when delivering petroleum to home property and service stations. Minimal gear is required when making the connections while at the same time avoiding the hazard of traverse cam connector threading. Cam lock couplings may be used in pump associations. Cam lock couplings can be extensively used in the outlet and inlet pump links. The couplings help oil spill out float systems to remove oil or grease from the surface of the water. According to the US military outlook, anodised aluminium cam lock couplings can be used by soldiers to ease fast strategic deployment. For further information on cam lock couplings and how they work see this article.